Please remember in your prayers Bishop John Arnold who tomorrow, Monday 8th December, will be installed the eleventh Bishop of Salford. Bishop John was born in Sheffield in 1953, schooled in the Midlands and after reading Law at Oxford for a short time practiced as Barrister in London before deciding that his vocation lay in the priesthood. He was ordained for Westminster Archdiocese in 1983 where he served as a hospital chaplain and on the staff of Westminster Cathedral before being appointed Parish priest of Our Lady of Mount Carmel and St George in Enfield. 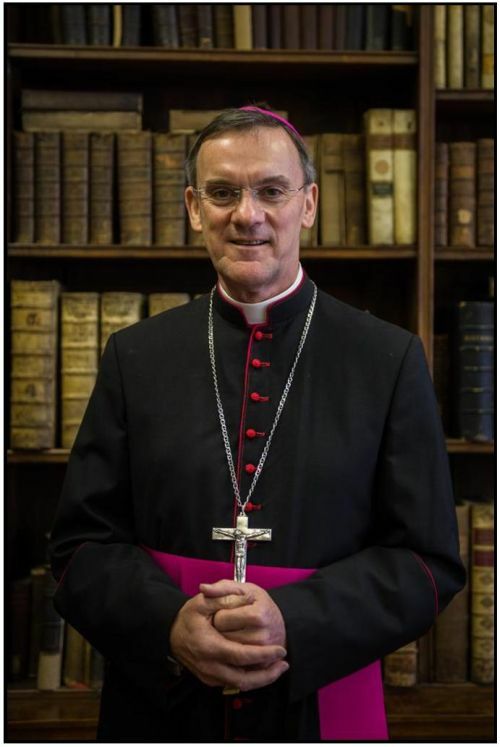 After 8 years he returned to Westminster to take up the reigns as Chancellor and Vicar General before being ordained an auxiliary bishop in 2006. So he comes to us with a wealth of experience and ready to face the many challenges that the decreasing number of diocesan clergy and demographic changes present. We wish him many years in the service of the Lord and assure him of our prayerful support in this new calling.